Information about Mwanadada – This platform highlights stories of women and the girl child. Women empowerment | Corporate Lady Profile | Maternal Health | Hair & Beauty | SRHR | Maternal Health | Mental Health & Wellness. Women and girls go through a lot of things. Some positive, others negative. That is society, right? Wrong! That’s why we focus on telling one story at a time, to remove the tape covering women’s mouth and drowning their voices to oblivion. If we talk about the good, bad and ugly, at least we might bring a paradigm shift. We are not defined by our past. We cannot change our past. However, we have to own our stories because we are the only ones who can tell them accurately. Sometimes we are emotional and rant a lot. That doesn’t classify us as too emotional. We are just women. Other times we are happy and tell lots of happy stories. We are far from strong. Alone, we would terribly fail. That’s why we need each other to maintain our strength. This is a platform where we collectively make our voices heard. Welcome to the African Female Voice. 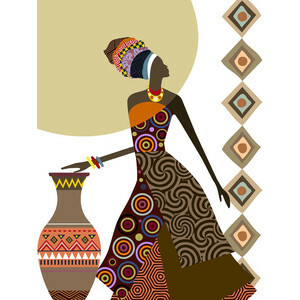 The African woman has great potential. She is a mother, wife, sister, and friend. Mwandada is a Swahili word “Mwana Dada”- Girlchild. Through Mwanadada, you will find different stories about the girl child at different stages. The stories are as diverse as the woman. Reach the editor through our feedback and contacts page for interviews & product placement.